I find it sad,Ichiro has played for us for years and after one bad season we start trash talking him. Does no one remember that his home country is Japan and that they just had a Big earth quake. I would be off my game too. I believe he will finish his last year with us. And shame on anyone who would say this man has not done his job well and often without help from his team. I'm an Ichiro fan, believe me. I was also a Griffey fan - and it pained me to watch the guy deteriorate as a player. It happens to the best of them -- and it's not a knock on Ichiro or what he's meant to this organization. But Ichiro was about league-average last year, and making $18 million dollars. That's almost 20% of payroll. Good teams don't pay 20% of their payroll for league average production. The post is more just kind of a what-if. I just don't know what Ichiro has left to prove in Seattle, and given that he's knocking on the age of 40, I could certainly see him heading back to Japan. Certainly after 2012. I'm sure he's going to finish his last year with us too - and I hope he has a fantastic year and goes out on a high. Fans you need to stop trash talking The Mariners and support them. Yes I too miss playoff Baseball in Seattle. Ichiro has done a lot for this team, everybody has a bad year, he is loyal and has stayed with Seattle when a lot of other players have left for no real good reason at all. We will get there again and our Baseball team needs our support. Not People trying to drag them down. I don't see any trash talking the Mariners here, so I don't get what you're saying. Ichiro's loyalty has nothing to do with... well... anything. People might want to give Ichiro a big cuddly hug, but just as we know we need better production out of our CF, our C, our LF, etc. -- we need better production out of RF too. Hard to feel bad for anyone making 18m/year to play sports. People get older and they get paid. On to the next. Cheryl - I just honestly can't understand your rationale. Johjima opted out and he was Japanese. Hideki Irabu refused to play for anyone but the Yankees and then had verbal wars with his owner who ultimately called him a fat toad. The Japanese culture is rich with tradition, yes - but the idea that Ichiro would possibly consider opting out of his contract is mostly to relieve the Mariners from having to pay him eighteen million dollars for a team that will struggle to play .500 ball. And the national tragedy thing doesn't pass muster with me either. In 1989, scores died in a San Francisco earthquake and Dave Henderson, Carney Lansford, Tony Phillips and Jose Canseco managed to hit home runs in the next game played. After 9/11, baseball went on and maybe you want to blame the Mariners collapse on that, but it certainly didn't affect the Diamondbacks. In 1942, World War II was going on but that didn't stop Ted Williams from hitting .356 and hitting 36 home runs and driving in 137 runs. The tsunami was tragic, but I don't think there's a shred of truth linking it with Ichiro's performance. You can't seriously blame the Mariner's woes on Ichiro. He plays one position and had a bit of a hitting slump. If Ichiro IS carrying the entire team, they've got more problems than just having a rotten coach with Wedge. Rachel - I don't see anywhere that I'm blaming the Mariners struggles on Ichiro. A. The post was just a what-if. Kind of like what if they got new ownership, or moved to the NL, or if they abandoned the infield fly rule. B. I've said this many times, but you can't expect to be competitive when you wrap up 20% of your payroll in one player, let alone a league-average player. That's any team in baseball, not just the Mariners. So yeah, that has to do with Ichiro, but there's no blaming him for 2011 in the post. C. Wedge had nothing to do with their 2011 struggles. You could put Bobo the Monkey or my 4 year old son in charge and as long as you lack talent, you won't win. Period. After several years playing with a mediocre baseball club, it would begin to wear on me too. It's not arrogance that Ichiro suffers from, but the classic Asian fear of shame. If I read between the lines carefully, he wants to go back to Japan to save himself the humiliation of having played for the American League All Star teams for years, but who has never been to a world series. It's the Mariners front office who need to get their act together and deal like baseball matters in Seattle. I wish Ichiro all the best as he ponders his next move. He's been exciting to watch as he's pumped up his deflated team year after year. Age MAY be a factor, by my stronger hunch is that he wants to finish with as little "shame" as possible. He's made his U.S. money. He's played extremely well. Maybe it IS time for Japan to welcome home a true international sports hero. WE LOVE YOU ICHIRO AND CAN"T WAIT FOR THE NEXT STAR FOR THE SEATTLE MARINERS!!! I remember my first Seattle Mariners game; I was in 1st grade, and Ichiro hit a home run into center filed right in front of me. Unfortunately, it was about 8 rows down from me. I am 12th grade now. That is one of my most cherished memories in life right now. Ichiro was a great player, is a grat player, and will always be a great player. If there is a hall of fame for teams, because I know you can retire numbers, he will definitely be in it. He might make it to the MLB hall of fame, he might not. 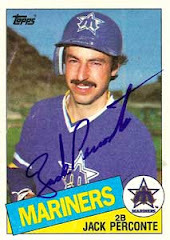 But he will always be in the Mariners fans hall of fame. WE LOVE YOU ICHIRO!!! Give us one more good year, and break some records!! !